Home » Commentary » China and the Uyghur Issue: Can the New Silk Route Really Help? Today, with the increasing threat of Islamist terrorism due to the rise and reach of the Islamic State in Syria and Iraq, sections of societies in Central Asia, South Asia, and West Asia are getting increasingly radicalised. Will China succeed in pushing forward in its economic agendas via the Western Development Strategy – the New Silk Route project and the energy corridors between Central Asia and China – if the Xinjiang Uyghur Autonomous Region (XUAR), the region that borders all the aforementioned areas is constantly under unrest? Contrary to the misrepresentation and/or misinterpretation that unrest in the XUAR is purely terrorism, terrorism and religious fanaticism, the unrest in the region is rathercomplex and specific. The oversimplification of the issue is what has resulted in the turmoil that exists today. The Uyghur region has witnessed several socio-political and economic changes since the time of the Silk Road trade. Since its inclusion into the Chinese State in 1949, the Communist Party of China’s (CPC’s) policies – that it borrowed from the erstwhile Soviet model – of making the country a Unitarian state with a singular identity across all regions, has created problems of several kinds, and the XUAR unrest is one such consequence. The restrictions on the expression of religious and cultural heritage and choices; the increased migration of the Han Chinese into the XUAR – that has resulted in the Uyghurs getting a sense of minoritisation –; branding of any dissent and/or protest of policies as terrorism and separatism; the heavy-handed measures used to crack down on opposition; the misinformed strategy of using economic means to solve a socio-political problem; and more importantly, viewing all Uyghurs as the same – i.e. separatists –has pushed the Uyghurs to a brink causing them to resist even resiliently. Beijing, thus, knowingly and/or unknowingly fuels the very unrest it has been trying to put an end to. 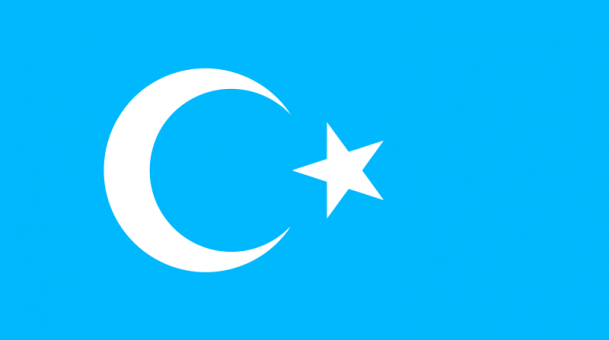 Furthermore, China has, over the past few years, begun to equate Islam (the religion followed by most Uyghurs in the XUAR) to extremism – a regressive approach that will not only not resolve the unrest, but also further frustrate any effort towards the resolution of the issue. The CPC’s lack of nuanced understanding of the history of the region and/or its deliberate unwillingness to admit to the actual socio-political history of the region will only prove detrimental to the strategies towards the successful implementation of its domestic and international agendas. Beijing’s approach – using economic incentives to resolve a socio-political issue – has not worked elsewhere, and is likely to fail in the XUAR as well, and for the same reasons. The overlapping of the socio-cultural and socio-political elements in the CPC’s strategies in the region since 1949 have thus resulted to a certain degree, an overlap in terms of the pushback that is generated as a consequence. In order to ensure sustainable stability in the XUAR, Beijing must take a fresh look at the Uyghurs and view and treat them as potential stake-holders who have shared interests in ensuring stability and peace in the region. Co-opting the Uyghurs by genuine means will automatically bring down the level of unrest drastically. Today, the Uyghur region is in the exact geopolitical and geo-economic situation it found itself in, a few centuries ago, when trade on the Silk Route was still fully functional. A case in point is that in 2012, the GDP of the XUAR stood at $122 billion, a $94 billion rise from $28 billion in 2004. In fact, the role of the Uyghurs and the Region too is exactly the same: a buffer zone for the ruling entity that sat in the mainland, yet strategically important for trade and security. Furthermore, China could harness the rich history of Islam in the region and build on the narratives to reap comprehensive overall benefits. If the CPC leadership makes a genuine attempt to understand the history of Islam in china, it would know that there was a potent mix of peaceful actors throughout the ages. That Islam of various kinds, including Sufi Islam, spread to and settled in China as early as during the Tang Dynasty – that ruled China from 618-907 AD – means that the religion has a rich and long history in the country. Therefore, viewing the Uyghurs’ demands of cultural rights should not be misinterpreted as a new phenomenon that is a result of hard-line Wahhabi indoctrination. On the contrary, the Uyghurs have historically detested the hard-line interpretations of Islam. A case in point is the strong opposition to the rigid Hanafi policies imposed by Tajik Commander of the then Khanate of Kokand, Yakub Beg, who briefly conquered the region in 1867. China would do well to address the Uyghur issue by focusing separately but simultaneously on three areas: social freedoms, security, and inclusiveness. Only those individuals that actually carry out violent attacks must be viewed from a security lens. Those who criticise CPC policies will have to be engaged instead of being labelled simply as separatists. Once the socio-economic concerns are genuinely addressed, any sympathies and/or support for the violent extremists such as the East Turkestan Islamic Movement and/or separatism will reduce considerably.The remainder can easily be tackled using its own security apparatus as well as with a little help from the governments of Pakistan, Afghanistan, Tajikistan, Kyrgyzstan and Kazakhstan.